Laboratory Fume Hoods | Professional Series | Apzem, India. Apzem Professional series fumehoods are ergonomically designed and made from heavy gauge material for greater strength and robustness. And protects users from inhaling harmful gases and vapors released while experimenting & working at laboratories. All our fumehoods are finished with special coatings for greater corrosive resistance and equipped with lots of features boosting productivity and safety. Monitoring: All our professional fume hoods are preassembled with airflow monitor , that continuously monitors air flow velocities and alerts users when the velocity drops for greater user safety. Locks: Maximum sash opening limit locks and a option for locking sash when itï¿½s fully closed are provided on request. 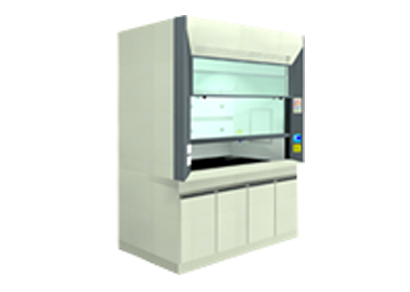 Customization: : We provide complete customization of all our fumehoodï¿½s meeting your specific needs and applications.